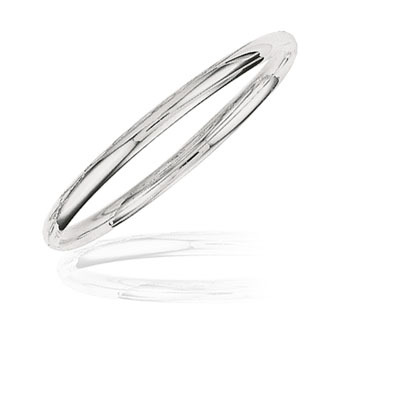 This mesmerizing Classic Bangle is embellished in 14K White Gold. Approximate Gold Weight: 4.80 Grams. An impressive bangle made to win her heart.